Dust Control Solutions Ltd are one of the leading ventilation companies in England. 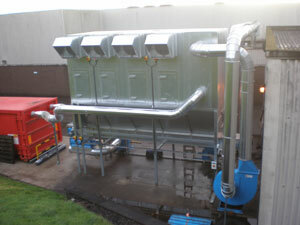 We design, manufacture and install ventilation systems for industries in England. Our service engineers are on hand 7 days per week 52 weeks in the year in England. If necessary we can supply temporary extraction should a serious breakdown occur.